Play these Flash or HTML5 based online slot machine games provided by iSoftBet at Top Free Slots. No download required to play the games - just click on the image and wait for the game to be loaded in your browser window. You can play all these iSoftBet Slots for free or try your luck for real money at sponsored online casinos. You can play classic slots or 5 reel video slots with multiple lines of payout, exciting bonus features, and wild and scatter symbols to increase your winning potential. 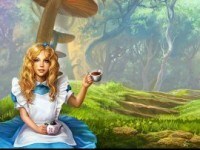 rr The free online Alice Adventure slot machine coming from iSoftBet gaming company is a themed casino machine based on a famous story â€œAlice in Wonderland.â€� It has 5 reels and 30 adjustable paylines. Start the Adventure The.. 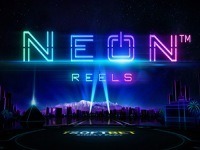 Neon Reels is a new 25 payline online slot machine from iSoftBet. Transport yourself into a unique 3D environment on this revolutionary slot packed with enticingÂ features and stunning visual effects! This is a new 720 ways to win slot machine developed by iSoftBet. 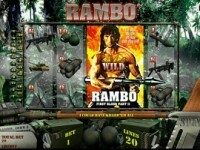 rr Rambo is an online progressive slot, created by the iSoftBet company, and is based on the theme of the popular five-series adventure.. 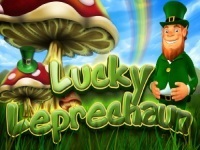 Enjoy the luck of the Irish with iSoftbet`s very own Lucky Leprechaun slot and win one of three progressive jackpots! This is a 15 payline online slot machine from iSoftBet. 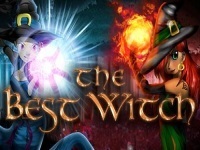 Choose either the blue or red witch to guide you on your quest towards big winnings! 24 is a 243 ways to win slot machine developed by iSoftBet. 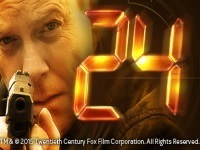 Step into the boots of Federal Agent Jack Bauer on a pulse-pounding branded slot adventure! This is a new 10 payline slot machine game created by iSoftBet. 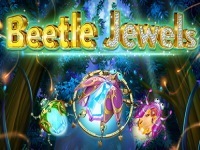 Inhabited by a swarm of extraordinary insects, each one carrying a precious gem, Beetle Jewels will fire up ever player’s imagination..
Platoon Wild is a new 20 payline online slot machine from iSoftBet. 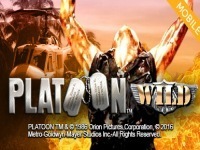 Face the battle, defeat your enemies and conquer a Jackpot with this action-packed slot, Platoon Wild! This is a new 20 payline slot machine developed by iSoftBet. 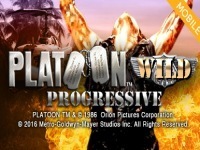 Face the battle, defeat your enemies and conquer a Jackpot with this action-packed slot, Platoon Wild Progressive! Super Lady Luck is a 243 ways to win slot machine game created by iSoftBet. Spin your way to big winnings with iSoftbet`s Parisian superhero on an exhilarating slot adventure with tonnes of exciting features. This is a 243 ways to win online slot machine from iSoftBet. rr Basic instinct progressive slot, based on the Basic Instinct movie is particularly entertaining. One of the most important reasons for..
rr Bewitched is a highly engaging game which relies on its magical theme and set to attract the attention of players. It offers a wide range of features like wild symbols, scatters, bonus rounds but what's most.. This is a new 50 payline slot machine game created by iSoftBet. Step into this unique playground, a mysterious leafy paradise known as â€˜Forest Mania', where magical Free Spins and crazy Wild symbols..
Dolphins Island is a 243 ways to win online slot machine from iSoftBet. Whisk yourself away on an undersea adventure with an array of friendly 3D characters on iSoftbet`s very own Dolphin’s Island! This is a new 30 payline slot machine developed by iSoftBet. Sail alongside the scary ships and creepy pirates with Skulls of Legend, a slot with free spins, bonuses, scatters, stack wilds and much..
Wisps is a 243 ways to win slot machine game created by iSoftBet. An enticing world of Wisps awaits players on this scintillating slot withÂ a multitude of ways to strike lucky! This is a 9 payline online slot machine from iSoftBet. Take a trip to the stars and and see what destiny awaits you on a this bedazzling slot adventure. Beverly Hills 90210 is a 243 ways to win slot machine developed by iSoftBet. Join the whole gang and relive the drama and excitement from the hit '90s TV show in an all-new California-inspired slot! This is a new 40 payline slot machine game created by iSoftBet. Cherish the old times and try your luck with classic symbols and traditional Special Bonus Wheel with Spin or Reels! Heavy Metal Warriors is a 243 ways to win online slot machine from iSoftBet. Heavy Metal Warriors Slot is an online slot game with 5-reels and the much desired 243 ways to win. The slot has a female fantasy warrior.. This is a 9 payline slot machine developed by iSoftBet. Journey to ancient Rome and try your luck on this decadent slot adventure featuring not one, but two bonus rounds! Paranormal Activity is a new 243 ways to win slot machine game created by iSoftBet. Up for a fantastic ghoulish treat! Paired with hair-raising visual effects, Paranormal Activity will intensify all your senses while fate.. This is a 20 payline online slot machine from iSoftBet. Travel back to ancient Egypt in Scrolls of Ra, a stimulating five-reel, 20-payline free slots game with mythical themes and bonuses. If the..
Skulls of Legend is a 30 payline slot machine developed by iSoftBet. Sail alongside the scary ships and creepy pirates with Skulls of Legend, a slot with free spins, bonuses, scatters, stack wilds and much.. This is a 30 payline slot machine game created by iSoftBet. Try your luck on this colourful and imaginative slot adventure featuring real footage from the movie and stunning audio-visual effects! Astro Magic is a new 9 payline online slot machine from iSoftBet. Astrology has a core of strong believers and dates back to the ancient times. Do you believe that you can determine your fate based on the.. This is a new 50 payline slot machine developed by iSoftBet. rr Firestar is a fast-paced 7-reel 50-payline video slot game that features both bonus round and the free games mode. The game combines.. Heavy Metal: Warriors is a 243 ways to win slot machine game created by iSoftBet. Based on the fantasy illustrated magazine Heavy Metal, you can hit the jackpot on one of iSoftbet`s raciest slots to date! This is a 10 payline online slot machine from iSoftBet. Place your bets, spin the reels and release your inner Luchador as you immerse yourself in all the action from the big screen! Match all 5..
rr Royal cash is the iSoftBet company's video slot with 5 reels and a pretty big number of 50 paylines. At the game's opening, the queen and the king are standing in the background of the Royal Cash logo. When you win.. This is a new 20 payline slot machine game created by iSoftBet. Spin the reels of the exciting new 3 Blind Mice slot by Leander Games and experience a chase for winnings like never before! 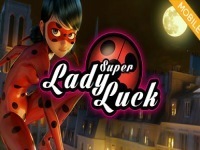 As the story..
LadyBug Adventures is a 243 ways to win online slot machine from iSoftBet. LadyBug Adventures Slot is a 5-reel video slot game which pays in 243 ways, featuring the heroine LadyBug as she triggers re-spins and.. This is a 20 payline slot machine developed by iSoftBet. Hit the right symbols and win a million cents on one of iSoftbet`s favourite classic slots, now optimised for players in HD! This is a new 9 payline online slot machine from iSoftBet. rr There are lots of video slots with Egyptian themes. But we cannot say that all of them are of the same quality. If you really want to..
Shaolin Spin is a 243 ways to win slot machine developed by iSoftBet. Join iSoftbet`s kung-fu master in a fast and furious slot featuring expanding Wilds and 243 ways to strike lucky on the reels! This is a new 20 payline slot machine game created by iSoftBet. rr Based on the 80’s disco music era, the 80’s Night Life is the online video slots game from iSoftBet that brings together..
Bell Hop is a new 20 payline online slot machine from iSoftBet. rr Another name brought to you by famous developer iSoftBet – Bell Hop is a video slot which features all the known perks like bonus.. This is a 15 payline slot machine developed by iSoftBet. It's a smash! Great prizes are ripe and ready to burst in this fun and fruity video slot bonus game exclusive to iSoftBet. Jackpot Rango is a 25 payline slot machine game created by iSoftBet. It's a Wild West story like nothing you've ever seen! Join the eponymous hero on an animated adventure across the reels. rr Japanese cuisine has always drawn fans from all over the world, and you are very likely to come across popular Japanese foods such as Sushi, rolls and sashimi in most popular western eating joints. It is therefore..
Lucky 3 is a new 5 payline slot machine developed by iSoftBet. With just three symbols, 5 lines and five multipliers, Lucky 3 slot by iSoftBet offers plenty of chances for you to win the 500 coin.. This is a new 25 payline slot machine game created by iSoftBet. rr Rango is a progressive slotpowered by the iSoftBet software, and is inspired by the animated comedy movie and its lead character..
Red Dragon Wild is a 30 payline online slot machine from iSoftBet. Win up to 20 free spins in this kung-fu inspired 30-line slot with a unique bonus round awarding free spins and multipliers! This is a new 27 payline slot machine developed by iSoftBet. Regardless of what date your birthday is, 7 will be your lucky number with iSoftbet`s new Slammin' 7s slot – featuring Respins &.. The Olympic Slots is a new 30 payline slot machine game created by iSoftBet. rr For slot game players who love playing different sports-themed slotsbut never seem able to decide on which specific sport to go for, the.. This is a new 30 payline online slot machine from iSoftBet. The mighty king of the Ancient Greek kingdom of Macedon is back in iSoftBet`s 5-reel, 30-payline The Sword of Alexander slot machine! This.. This is a 25 payline slot machine game created by iSoftBet. Join iSoftbet`s pixelated characters and relive the golden age of 16-bit video gaming with Mega Boy! Pin Up Girls is a 9 payline online slot machine from iSoftBet. Join iSoftbet`s harem of gorgeous vintage pin up girls and spin your way to big winnings on this ’50s inspired slot machine! This is a new 25 payline slot machine developed by iSoftBet. rr PlayÂ Reels of OlympusÂ free slotÂ to travel back to the Olympian age. The ancient civilization and â€œLegends of Olympusâ€� were the.. The Warriors is a 243 ways to win slot machine game created by iSoftBet. There's a gang war brewing in New York City, and you can join the action in this thrilling slot with 243 ways to win big! rr The Scrolls of Ra video slot, powered by the iSoftBet software company, offers twenty paylines and five reels with the Egyptian-themed symbols spinning on them. The theme is inspired by the god Ra, who is believed to.. This is a new 20 payline slot machine game created by iSoftBet. rr Spin or Reels is a progressive slot created by iSoftBet and is consisted of five reels and twenty pay lines. The game offers classic..
rr The free online Spooky Family slot machine is a game based on the famous movie â€œThe Addams Familyâ€�. This casino machine is made by the iSoftBet vendor and it has 5 reels and 20 pay lines. The game panel is set in.. This is a new 25 payline slot machine developed by iSoftBet. rr The Great Art Robbery is a 5-reeled slot machine with 25 pay lines at your disposal. It was produced by iSoftBet, which is used to..
Treasure Lion is a new 25 payline slot machine game created by iSoftBet. rr Brought to you by one of the world's leading video slot developers, Treasure Lion is a lucrative 5 reels and 25 lines game, offering all..
Slip into an oasis of calm with Ambiance slots, featuring super-slick animations and stunning audio-visual effects. iSoftBet released Ambiance in 2014, describing it as a modern, fun and a game of superior design. It's..
Take advantage of the finer things in life and let your imagination run wild on this classic 30-payline slot game from iSoftBet. Best Things in Life slot has 5 reels with 3 rows of symbols. Released in 2014, the Best..
rr After the original Illusions slot, the iSoftBet software company launched the second and better-looking part, the Illusions 2. The 5-reel, 30-payline slot is an enhanced version of its predecessor to the point where..
rr The Mona Lisa Jewels is a progressive video slot which offers 3 rows, 5 reels and a total of 25 paying lines to the player. It's been developed and distributed by iSoftBet which is overly known for being one of the.. This is a new 20 payline slot machine developed by iSoftBet. rr All for one and one for all! There's the right slogan for playing the free online Musketeer slot machine developed by iSoftBet. This..
Paparazzi is a new 25 payline slot machine game created by iSoftBet. rr Are you that little girl that feels so good when the Kardashians are doing the paparazzi picture stuff and signing the autographs? You..
rr The theme and central point of Platoon video slot are given out in its name. Unlike the normal 25 pay lines scattered everywhere, this game from iSoftBet will offer you something different. It comes with 5 reels upon..
Cherry Trio is a new 5 payline slot machine developed by iSoftBet. Cherry Trio will virtually bring you right onto the casino floor, with high-class music and easily recognisable classic slot machine.. This is a 5 payline slot machine game created by iSoftBet. Another firm favourite among players, you can play with 3, 4 or the full 5 reels to win a huge progressive jackpot! World Tour is a 5 payline online slot machine from iSoftBet. Take off on a jet-set adventure across the reels and win the jackpot as you fly from New York to Paris and back again! rr The fairy tale about a little brother and a sister was published in 1812 by the Germans, Grimm Brothers, and after there were cartoons and movies based on the book. However, the iSoftBet company coming up with the..
rr Absolute Super Reels is a mobile slot which is definitely living up to the name. In any case, the main intention behind the game is to emphasis on the classics by offering the simple 3 reels and 5 pay lines..
rr Looking at the design of the interface and some of the symbols presented on the screen, one would easily mistake the Diamond Wild slot game for any of the more traditional classic video slot games. However, this is a..
Game Show is a new 15 payline slot machine developed by iSoftBet. rr The iSoftBet company created a different type of game this time, and it is something between a slot and a quiz show, so they called it.. This is a new 15 payline slot machine game created by iSoftBet. rr Golden Fish is a 5-reel 3-row 15-payline video slot game themed around the aquatic environment. The game features scatters, bonuses and..
Naughty Nurse is a new 15 payline online slot machine from iSoftBet. rr Thrown into the game world on the 30th of December 2013, the Naught Nurse video slotÂ is one of the most peculiar video slots of the..
rr The Super Fast Hot Hot is a progressive slot developed by iSoftBet game supplier. The game's theme is all about diamonds and colorful fruits, which are spinning on its 5 reels. However, it wasn't enough that the..
Million Cents is a new 20 payline slot machine game created by iSoftBet. rr The game is brought to you by no other than the famous iSoftBet - one of the current market leaders on a global scale. Taking perfect..
Baker Street is a new 9 payline slot machine developed by iSoftBet. rr This video slot brought to you by industry leading iSoftBet is going to take you back to 19th century Britain only to discover hidden.. This is a new 9 payline slot machine game created by iSoftBet. rr The Cloud Tales slot game is a pokie released by the iSoftBet in summer, June 2016. It is bringing us to a completely new, magical space..
JetSet is a new 5 payline online slot machine from iSoftBet. rr Easy to play and with the basic set of rules, JetSet is a 5-reel 5-payline video slot game with a number of betting combinations and a.. This is a new 15 payline slot machine developed by iSoftBet. rr Shopping Mania is a great slot game that focuses on a shopping expedition. The game has shopping and girls in mind. This feature is made..
rr Super Lucky Reels is a classic slot game from iSoftBet that has extra reels and original gaming functions. It is a slot that would interest lovers of unconventional gambling games. The games have rich graphics that..
rr The Happy Birds slot game has been created by the iSoftBet 3D slot creator and is a non-progressive machine released in September 2015. The developers were inspired by the Angry Birds, and the main characters are..
Manga Punch is a 5 payline slot machine developed by iSoftBet. rr The Manga Punch is developed by world's famous iSoftBet company, and it truly lives to the name of a classic slot. With its 3 reels and.. This is a 5 payline slot machine game created by iSoftBet. rr If you love playing online slot games, and you have a soft spot for diamonds, then the Diamond Mine slot game is definitely the right..
Joker Vegas 4UP is a 4 payline online slot machine from iSoftBet. Climb the ladder and see how much you could win on this variation of Joker Poker with a multiplier twist! rr Super Multitimes Progressive is a 5-reel 5-payline video slot game with authentic appearance and colourful layout. This rewarding and interactive game comes with great graphics and sound effects and is accessible to.. The Lost Incas is a 9 payline slot machine game created by iSoftBet. rr No wonder that the Inca civilization inspired the Lost Incas progressive slot, since their empire was the largest in the pre-Columbian.. This is a 3 payline online slot machine from iSoftBet. rr 3 Hit Pay is undeniably a slotÂ machine with a classic appeal. It comes with 3 reels as well as 3 paylines in total - similarly to any.. Hot Times is a 5 payline slot machine developed by iSoftBet. rr Hot times is a traditional slot game that is characterized by exciting graphics and attractive design. It has a small quantity of lines.. This is a 5 payline slot machine game created by iSoftBet. rr Quick Time is a progressive slot, created by the iSoftBet software company, and is consisted of only 3 reels and 5 pay lines. A good..
Treasure Chest is a new 5 payline online slot machine from iSoftBet. rr Play Treasure Chest free slotÂ to get a truly adventurous experience. You are taken on a money hunt that involves pirates and (more.. This is a new 5 payline slot machine developed by iSoftBet. rr The first notable thing about the game is that it's brought to you by iSoftBet which is a benchmark for quality already. However, this..